The garbage collection in the Dehiwala-Mount Lavinia Municipal area is not properly organised. The residents don't know with certainty the date and time at which garbage collection will take place. For example, there are two types of garbage being collected: recyclable waste (plastics, paper, cardboard) and degradable waste. However, the garbage collectors’ roster keeps on changing. The lorry and the garbage collectors appear out of nowhere and awaken the residents in the wee hours by knocking at each door. The Colombo Municipality Council, on the contrary, is well organised. Supervisors are appointed entrusted with the responsibility to every ward. Their contact details are published on the MC website. The website has also published the days and times of garbage collection at each ward. Thus, the ratepayer residents know when to keep their garbage outside. In any case of emergency, they are well positioned to contact the respective ward supervisor who will resolve their problem. The website also contains information about road sweeping. The link to the website is http://www.colombo.mc.gov.lk/garbage-collection.php. 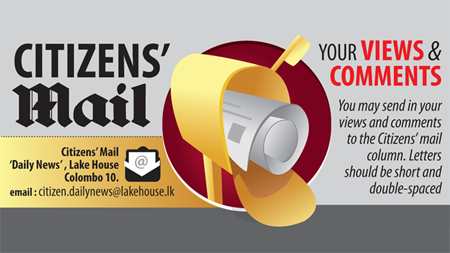 As residents of the Dehiwala-Mount Lavinia Municipal area, we have been put through the mill. We have to wait around for the garbage collectors. Those gentlemen do not seem to have any care for the foul smell emanating from the oozing garbage perched on the ground for so long attracting venoms and other repulsive earthly creatures. We accord our appreciation only if the Dehiwala-Mount Lavinia Municipal Council could get the job through the good offices of its respective authorities. Working on an organised schedule detailing the days and times at which garbage will be collected from each road will suffice for the ratepayers. This is well accomplishable on the MC website.